Imported ARTURO leather clothing. 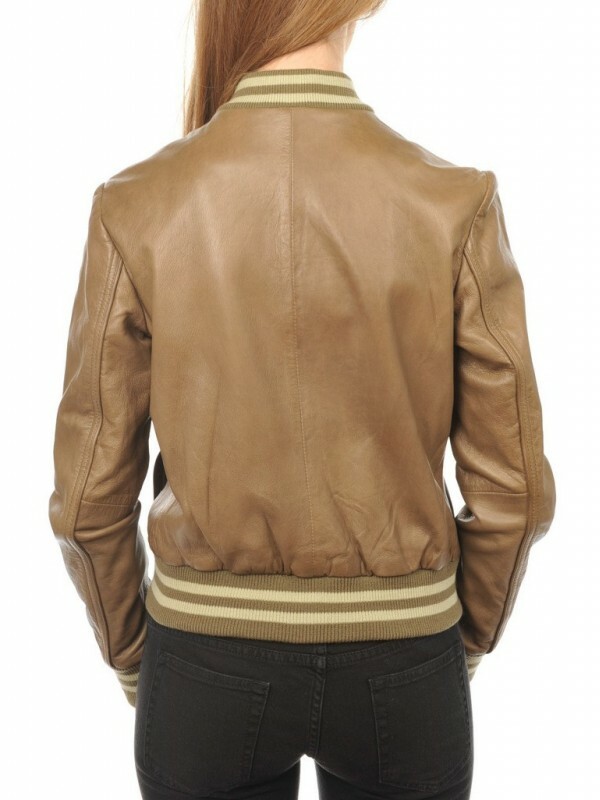 Varsity jacket kaki color . Collar, belt and cuffs with striped off-white sides, princess cut and seam pockets.